Is a research professor at the Center for Sustaining Agriculture and Natural Resources at Washington State University, a position to which he was appointed in 2012. At the CSANR, he directs the "Measure to Manage" program. Benbrook was also the scientific advisor for the Oregon-based nonprofit organization "Organic Center" from 2004 to June 2012. Benbrook holds a bachelor's degree in economics from Harvard University (1971), as well as an M.A. (1979) and a PhD (1980) in agricultural economics from the University of Wisconsin-Madison. Benbrook spent 18 years (1979-1997) working in Washington, DC on agricultural policy and regulation. During this time, he served for two years (1981-1983) as the director of the Subcommittee on Department Operations, Research, and Foreign Agriculture of the U.S. House of Representatives. He also directed the National Academy of Sciences' Board on Agriculture from 1984 to 1990. On a 1993 Frontline program entitled "In Our Children's Food," which focused on a NAS report on pesticides of which Benbrook was the lead author, he warned that the regulatory limits on pesticides were based on adults, even though they are more dangerous to children. He also suggested that he had been fired from the NAS panel for criticizing the pesticide industry. One of Benbrook's best-known studies is one published in 2012, which concluded that genetically modified foods have resulted in increased pesticide use, purportedly because weeds are developing resistance to glyphosate. However, some critics stated this study was flawed, because Benbrook did not take into account the fact that glyphosate is less toxic than other herbicides, thus the net toxicity may decrease even as the total herbicide use increases. 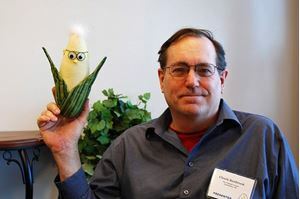 In addition, Graham Brookes of PG Economics accused Benbrook of making subjective estimates of herbicide use because the data provided by the National Agricultural Statistics Service doesn't distinguish between genetically modified and non-genetically modified crops. Brookes had published a study whose conclusions contradicted those of Benbrook's earlier in 2012. Brookes also stated that Benbrook had made "biased and inaccurate" assumptions. More recently, in December 2013, Benbrook was the lead author of a study which reported that organic milk contained significantly higher levels of heart-healthy omega-3 fatty acids. However, the study was funded in part by the organic milk producer Organic Valley, although Allison Aubrey of NPR reported that they had no role in the study's design or analysis.